There is quite a lot going on with figurative art in and around Amsterdam/Rotterdam. The following exhibitions and events might be worth a look if you’re into that – most of them end very soon. This week the Realisme Art Fair will be held, close to Amsterdam Central Station. I’ve never seen it before – but will check it out Friday and Saturday at the least. For new artists it is also possible to take part on a lecture series on Friday – I will try. Just until the 16th January you can still see “Illusions of Reality” in Amsterdam’s Van Gogh Museum – an exhibition of realistic paintings of the turn of the 19th century. For me it’s sometimes depending on my mood if I am impressed by an exhibition – maybe that’s why I wasn’t so much into it when I saw it two days ago. The technical quality is extremely high, so for artists there is certainly a good bit to learn from. I’m just missing a real masterpiece. It does look all a bit like painted from various photos, and then beefed up a bit with colors and effects. I wasn’t even able to tell one artist apart from the other. It seemed to have taken a while since many artists really worked free with this technique. The Zorn picture ('The Mora Fair') was the only one standing out. Btw: when looking for this image I came across this goldmine of 10 pages of high resolution Zorn glory! One thing I noticed: There was not a single piece done by woman. Even 17th and 18th century exhibitions usually show some female painters. Are they missing because they didn’t care, or they weren’t allowed to play a part back then? If you go, don’t miss the showings on the upper floors. Small but nice is Monet’s development from realistic painting to impressionism. And interesting for the plein-air painters is the research on Charles-François Daubigny art and equipment. 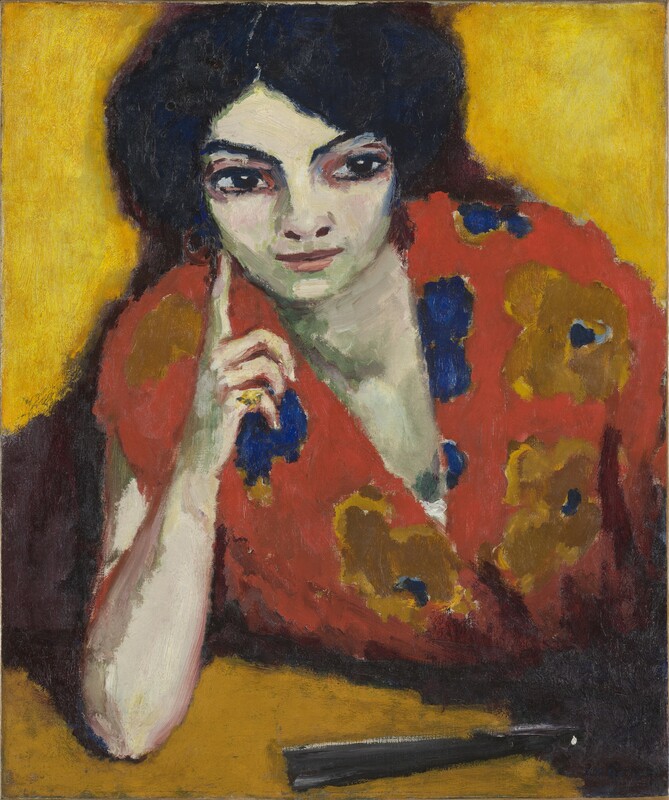 In Rotterdam there is Kees van Dongen in the Boijmans Museum until the 23rd of January. An interesting Dutch painter, with a big range of styles. And if you’re up for even more abstraction, nearby you can see Edvard Munch in the Kunsthal Rotterdam up until the 20th of February. At the same place is the Internationaal Realisme Exhibition, with realistic art (photos and sculptures) until the 16th of January.